As a thank you for spending time with Grease Monkey, I’d like to recommend some other things that either influenced it or relate to what happens in its pages. In truth, just about everything I’ve ever read has had some influence, but these stand out for various reasons I will attempt to explain in no particular order. Click on the titles to find them at Amazon. 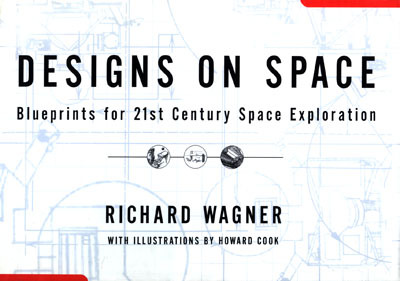 This ambitious little tome is packed with lots of cool stuff – all in illustrated form – that is either currently in use or on the drawing board for future use in space. This is where I first learned about the SAFER unit and the aerospike engine that both appear in Book 1, Episode 9. There is no shortage of space books out there, but the passion in this one leaps off the page. When I first imagined the Barbarians as an all-woman fighter squadron, it was in keeping with the grand but little-known tradition of female aviators all the way back to the early days of flight. This fascinating book lays out the full story of those pilots and goes a long way toward describing the obstacles they faced both in the air and on the ground. 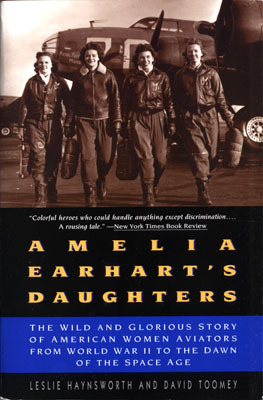 I promise you, each pilot in Barbarian Squadron has read this book and gives it a place of honor on her shelf. Okay, if you want to know what all the fuss was about in Episode 17, get this book and lock yourself away with it for a day or two. I guarantee that when you come out again, the world will look very different. Even if I hadn’t met and worked with Daniel Quinn, I would still not hesitate to recommend Ishmael to every human on Earth. I didn’t ask for Daniel’s permission to reference the book or swipe the lead character’s name, but when I told him about it, he didn’t mind one bit. It breaks my heart every time I remember that Douglas Adams is no longer with us, especially after he went and wrote something as wonderfully heartfelt as this after a nonstop string of comedies. 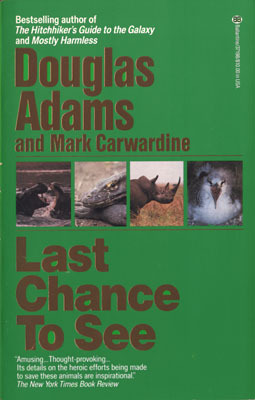 Among each of its unforgettable chapters, Last Chance features an amazingly vivid description of a meeting with wild gorillas in Africa. Not even Saint Fossey herself did a better job of it. If I were to found a religion one day, this book would probably be the sacred text. 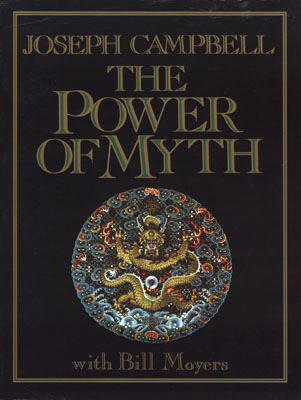 There is simply no adequate way to sum up Joseph Campbell except to say that a life lived without experiencing his gift for encapsulating the entire span of human imagination is a life incomplete. This book, being a transcript of a conversation, is a particularly accessible way to enter Campbell’s world and see that it belongs to all of us. One thing’s for sure, Grease Monkey would have suffered greatly if I hadn’t tuned into Campbell. 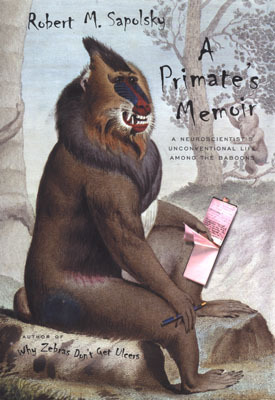 Robert Sapolsky is a primatologist who works mainly with baboons, but his writing style is so sharp and entertaining that I just had to include it in this list. 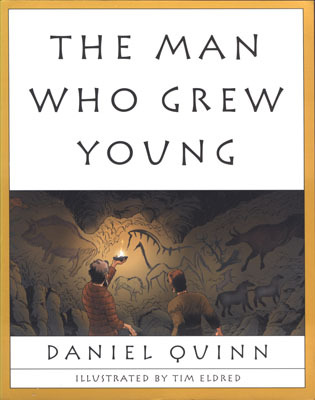 This book recounts his many colorful years in Africa, including an encounter with Dian Fossey and a visit with the mountain gorillas in Rwanda. His description is just as riveting as Adams’ and fills me with gratitude that such an ideal observer would willingly risk life and limb to write about this subject. 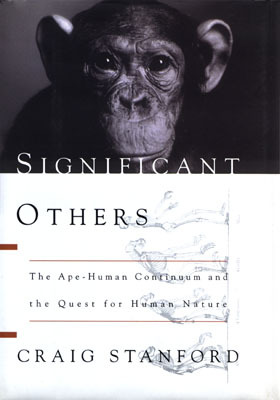 This short but very compelling book closely examines the line that is quite arbitrarily drawn between humans and apes, a line Stanford is intent on wiping out. He proceeds from the entirely defensible notion that apes have a culture every bit as complex and valid as our own, and fortifies his point in one well-crafted chapter after another. This book informed a lot of the opinions I included in Barfly, and goes a good deal farther. Mac and his beer buddies would approve. 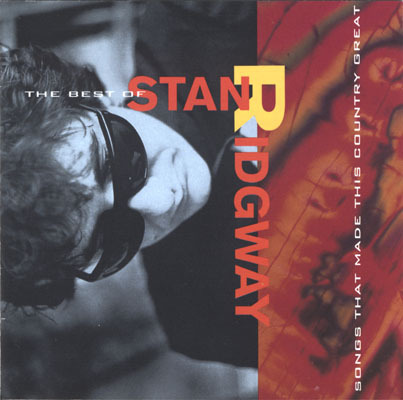 This is a compilation of Stan Ridgway’s best songs circa 1992, including Overlords, which had such a pivotal influence on the origins of Grease Monkey. Stan continues to write and perform music to this day, and each of his songs is a full-course meal. If after reading Barfly you’d like to know who Kinji Imanishi is, this is the book to read. 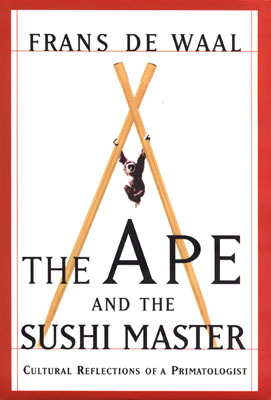 Frans DeWaal writes at length and with great insight about Imanishi and many other pioneers in the study of primatology. 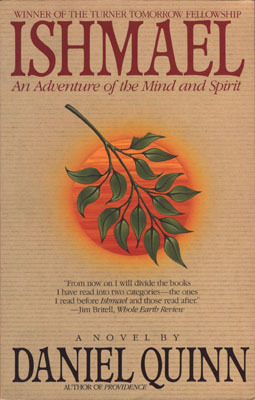 The title refers to the wide gap between the mind of an animal and the mind of someone schooled in a very precise art, and much of the book examines the many shades between these two extremes. 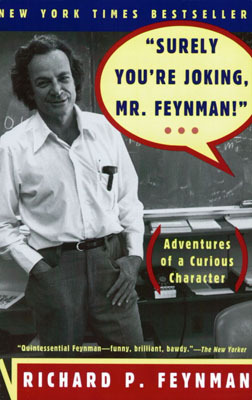 It’s also an excellent (and much thicker) companion volume to Significant Others. 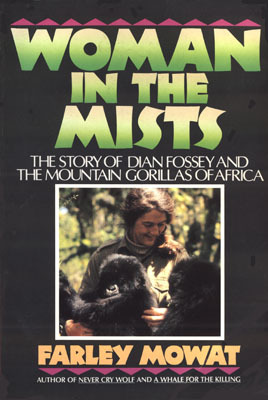 If you saw the movie version of Gorillas in the Mist, you only got about five percent of a full portrait of Dian Fossey’s incredible life story. This marvelous book brings it all together in a mixture of biography and very personal excerpts from Fossey’s extensive journals. Mowat says that he couldn’t help but fall in love with her (posthumously, that is) during the writing of this book, and it’s equally hard not to do so while reading it. She fought tooth and nail against such unbelievable odds and such monumental ignorance that I have absolutely no doubt that she would be sainted by a culture of gorillas. So here’s to Saint Fossey.